If you’re looking for a stylish gift to show your man just how much you love him this Valentine’s Day, then you’ll adore these gorgeous fragranced products from the city of romance, Florence. Created and lovingly crafted by Dr Paolo Vranjes - a chemist, cosmetologist and perfumer, the fragrance is based on a dessert red wine, diffused by vines. This unique gift and a statement piece in any room, is presented in a handmade box. (£199 750ml). Initial top notes of orange, violet and magnolia flowers are complemented by middle notes of plum, strawberry and raspberry at the heart of the fragrance. The scent of seasoned wood with a hint of smoky birch, recreate the "tannins" in the base note. Rosso Nobile is also available in 180gm candles, priced at £36.50, 250ml bottles with black reeds (£59.50), inspired by and carefully created to follow the lines of the famous ‘Duomo’, Florence’s Cathedral of Santa Maria di Flori. 500ml refills are also available at £70.00. 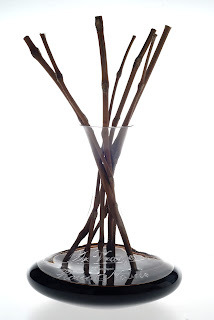 Or, why not indulge your man with the wonderful Cuoio e Radica – Leather and Wood fragrance. New to the Dr Vranjes home fragrances collection and designed to impress, this marriage of leather and briarwood is an essentially masculine scent. The elegance of orange blossom, violet leaf and freesia are expertly combined with the virility of cedar, patchouli leaf and wood which blend perfectly with the surprisingly soft notes of leather, amber and vanilla. The fragrance is presented in Dr. Vranjes signature bottle. 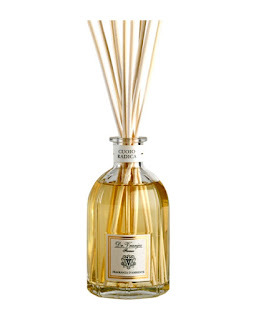 250ml Diffuser - £49.50. 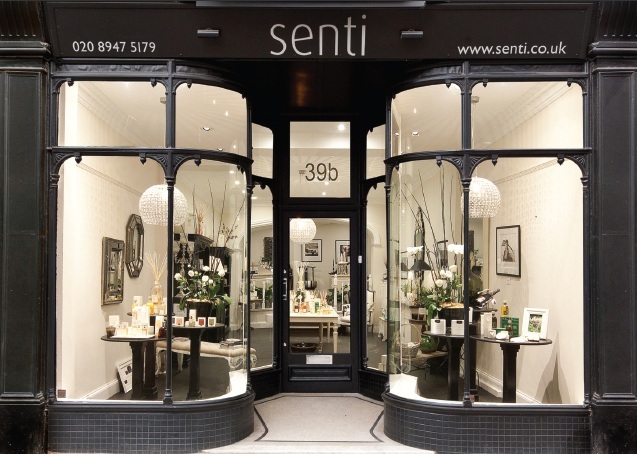 To find your nearest stockist please call Senti on 0208 947 5179 or visit www.senti.co.uk. As a stylish alternative to a floral rose bouquet, surprise your loved one with this beautiful new rose fragrance from world renowned perfumer Dr. Vranjes. This gift will last long after the roses have faded and Valentine’s Day is a distant memory. Petali di Rose is an exotic blend of rose petals. The main ingredient of this delicate floral bouquet is precious Turkish rose, highlighted by touches of geranium, ylang ylang, violet and jasmine. 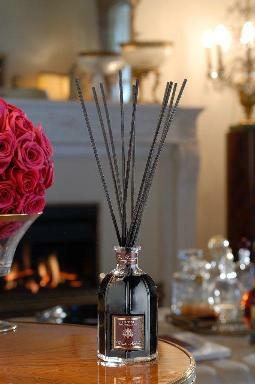 Notes of cedar wood, amber, vanilla and white musk give a rich intensity to this elegant fragrance. 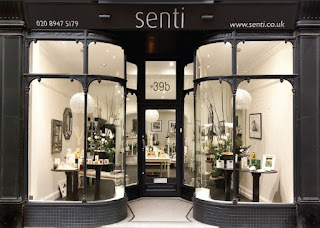 To find your nearest stockist call Senti in Wimbledon Village on 0208 947 5179 or visit the website at www.senti.co.uk. 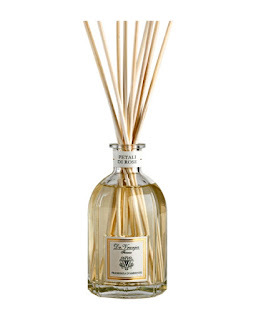 Available in 250ml size diffuser (£49.50). As an alternative or additional gift, give the Rose candle from, the House of Rigaud, one of the oldest perfumeries. Since it’s founding in Paris in1852, Rigaud has taken special care in the choice and preparation of its natural ingredients and whilst the fragrance is apparent whether or not you light the candle, they really do need to be burnt to appreciate the full impact of the perfume.